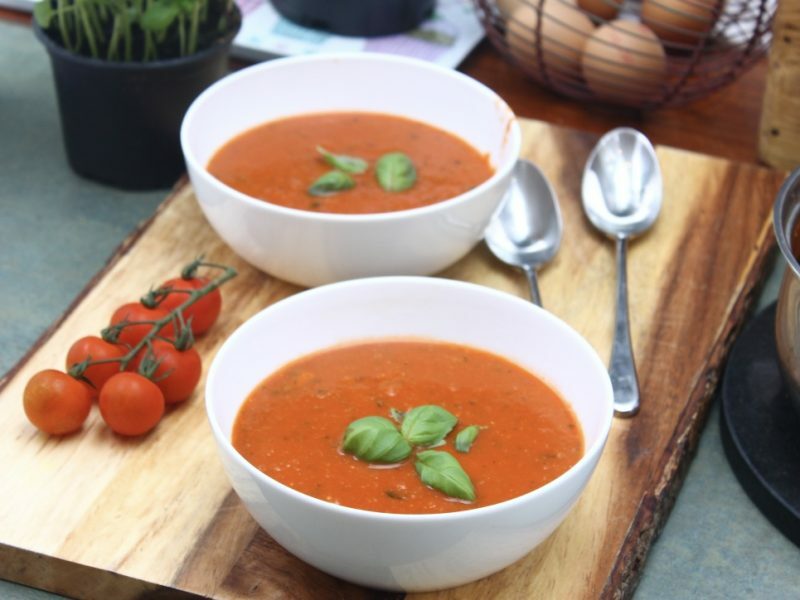 If you too have a slightly obsessive and weird addiction to tomato soups then you must try all of these recipes every day for the rest of your life! If not, then just give this latest batch a try and bookmark the others for the next rainy day; which in fairness will probably be tomorrow and then the next day, and then the next day… until July! Enjoy! Toss the onion, pepper and garlic in the oil in a roasting dish and roast for 15 minutes. At this stage remove the garlic from the pan, give the pan a stir and return the pepper and onion for another 10 minutes. After this, squeeze the garlic out of its skins and add the tomatoes, balsamic, sugar and puree and return to the oven for 20 minutes, after giving the pot a good stir. Once the mixture is lovely and thick, blend it together with the stock and basil until smooth. Return the mixture to a pan over a low heat and stir in the goat’s cheese until this has all melted into the soup. Season to taste and dish up with some warm buttered bread. Ugh this looks oh so comforting! Tomato soup is hands down the best. Feel better! 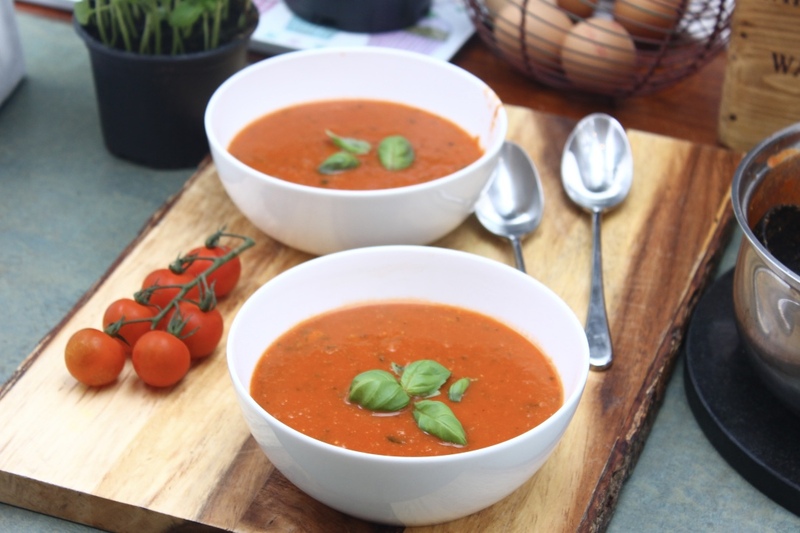 This is one good looking soup! and the thought of that goat cheese! Yum! Hope you feel better soon!